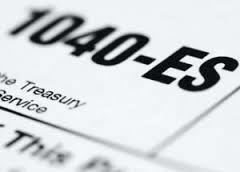 As the end of the year approaches, it is important to ensure that all of your IRS obligations are fulfilled. The end of the year can be a busy time for any business. Sending out 1099s, closing out invoices and receiving final payments as well as making final donations for tax credits can fill the last few days of the year. Details can sometimes get lost in the shuffle. One of the details commonly missed is the final estimated tax payment of the year. Many people overlook the last estimated tax payment of the year because it isn’t actually due until January 15 of the following year. It is easy to confuse – the payment is made for the previous year, and is credited for the tax of that year. According to the IRS, you are not required to make the final January 15th payment if you file your tax return by February 1 and pay the entire balance due. Failing to file the tax payment can result in penalties and additional taxes. IRS Publication 505, Withholding and Estimated Tax, can give you more information about penalties for underpayment and exceptions to the penalty. With everything else that needs to be done, make sure that you make your final estimated tax payment on January15. For additional information regarding estimated quarterly tax payments, contact CPA Consultants LLC today!